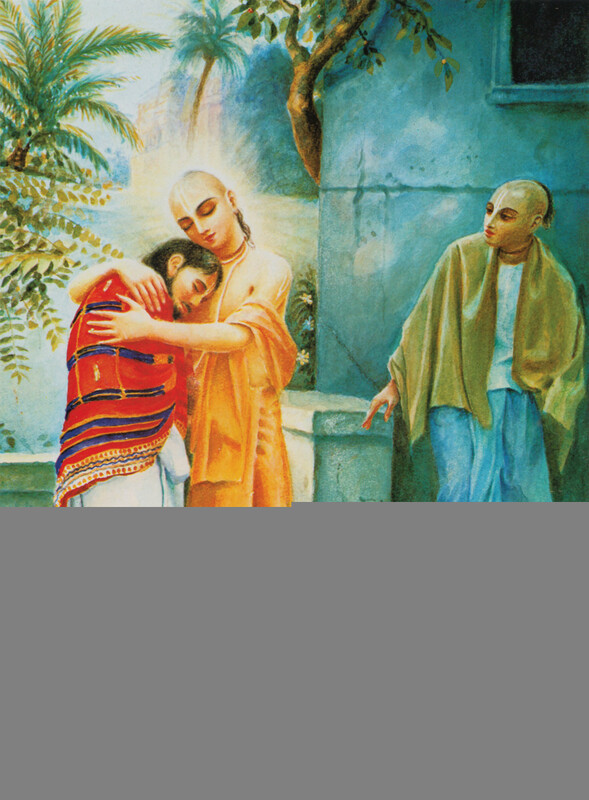 I saw that Lord Caitanya Mahaprabhu was entering the body of Jagannatha and again coming out of His body. 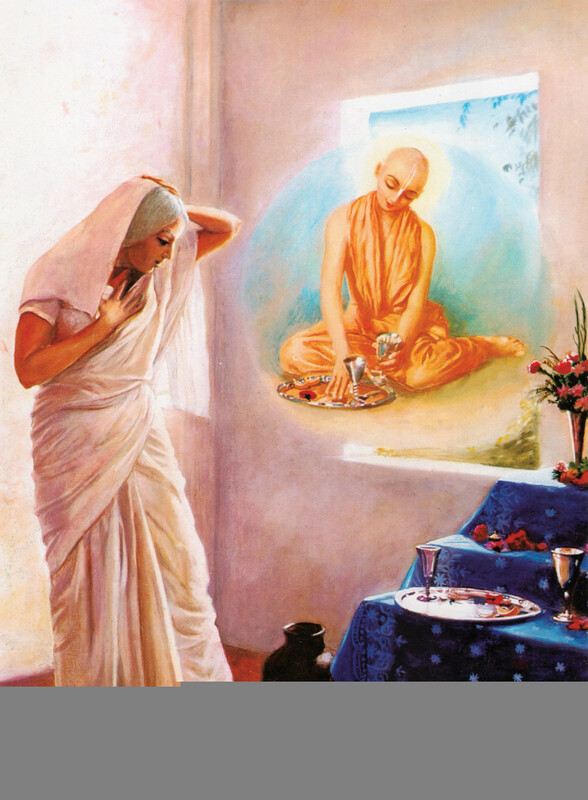 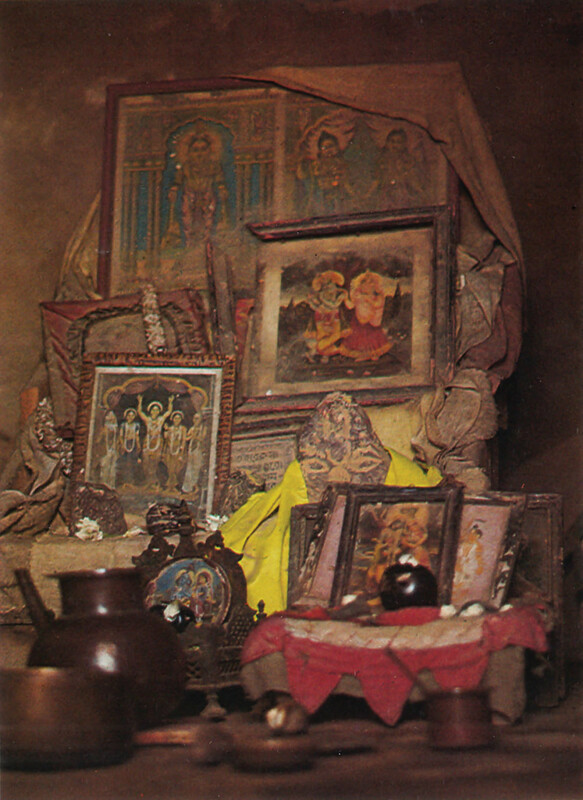 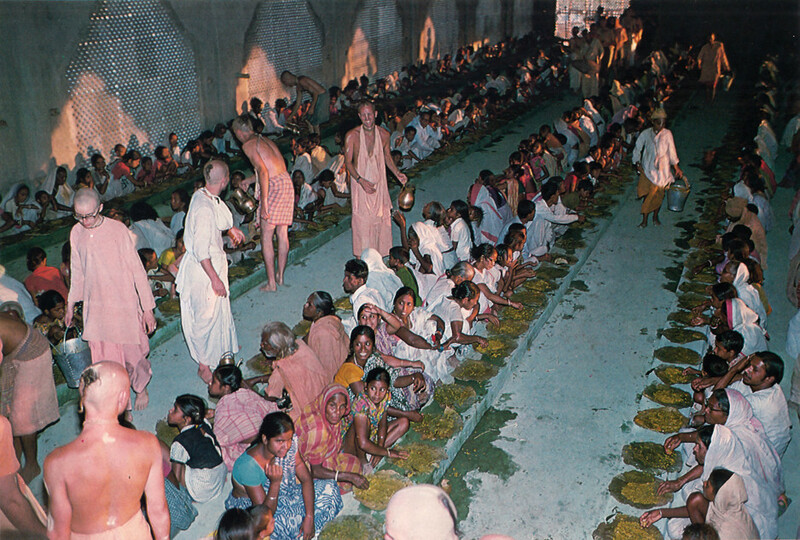 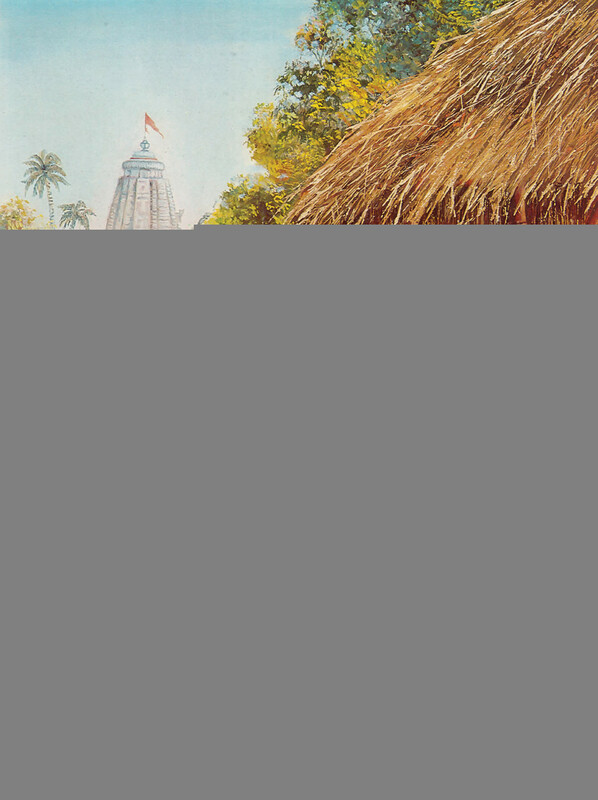 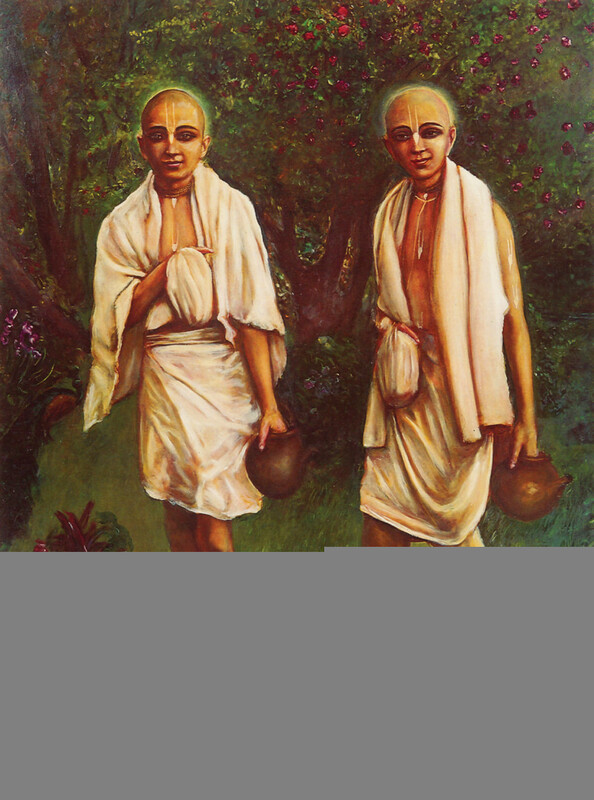 Sacimata saw that the foodstuffs had actually been eaten by Sri Caitanya Mahaprabhu, even though He was far away. 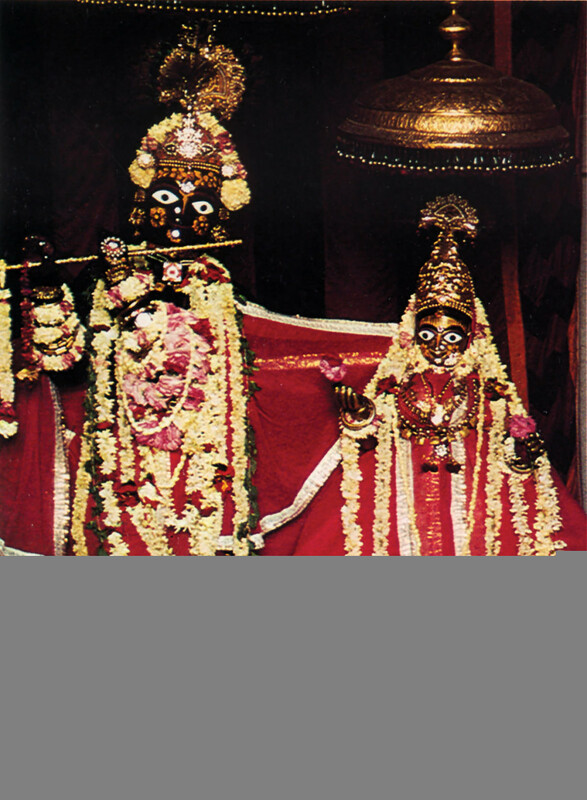 In the temple of Govindaji, thousands of servitors always render service to the Lord, who is seated on a golden throne bedecked with jewels. 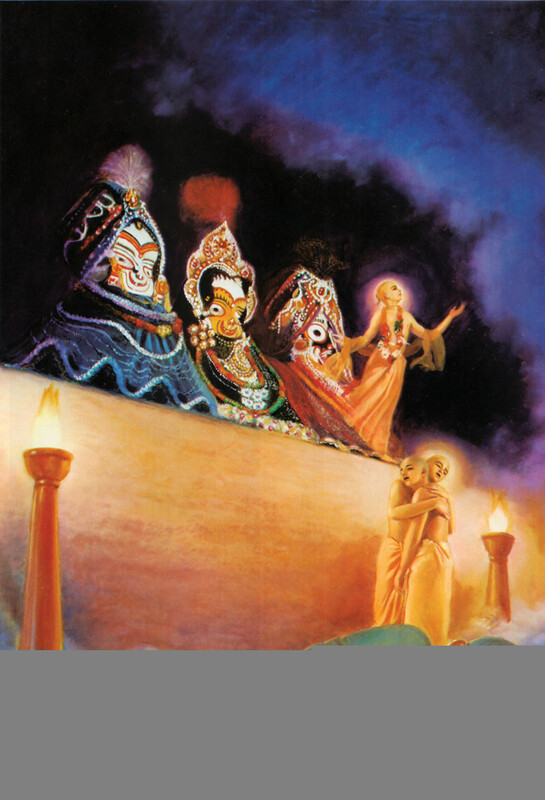 The Deities of Uddharana Datta Thakura, an extremely elevated and liberal devotee of Lord Nityananda Prabhu, who sat on the raised platform with the Lord at the festival of Raghunatha dasa Gosvami. 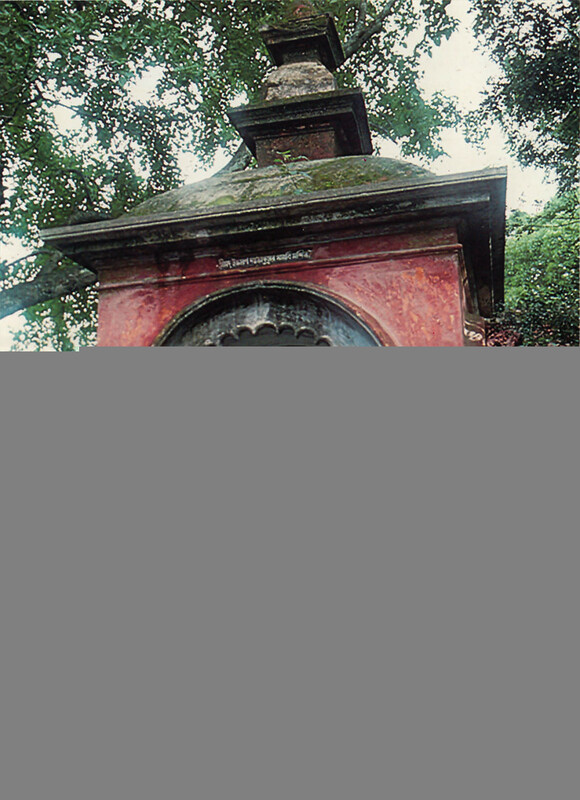 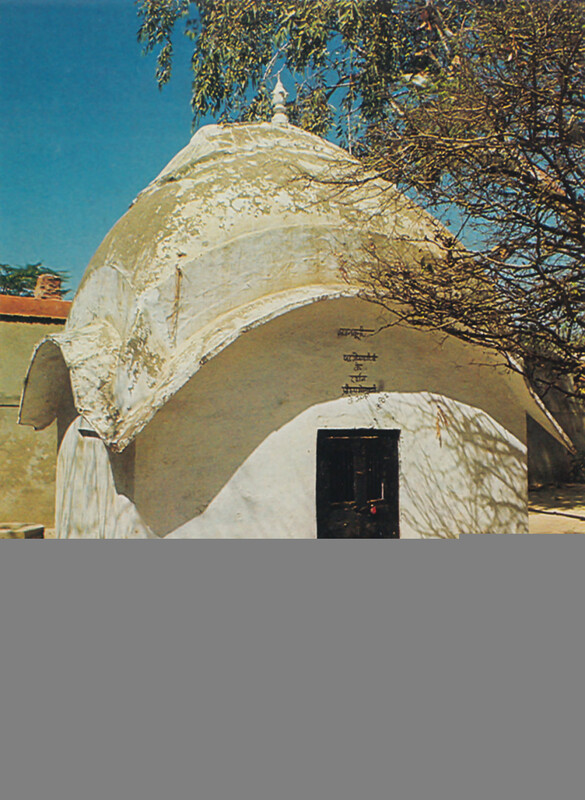 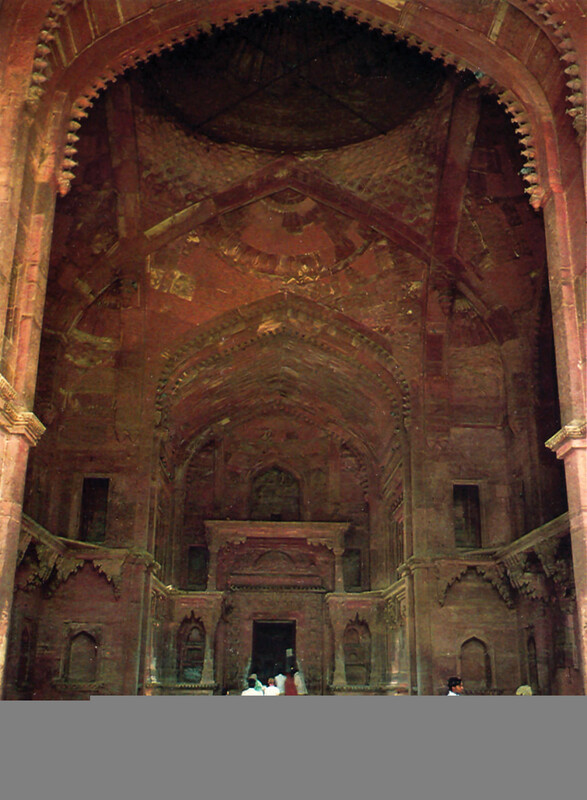 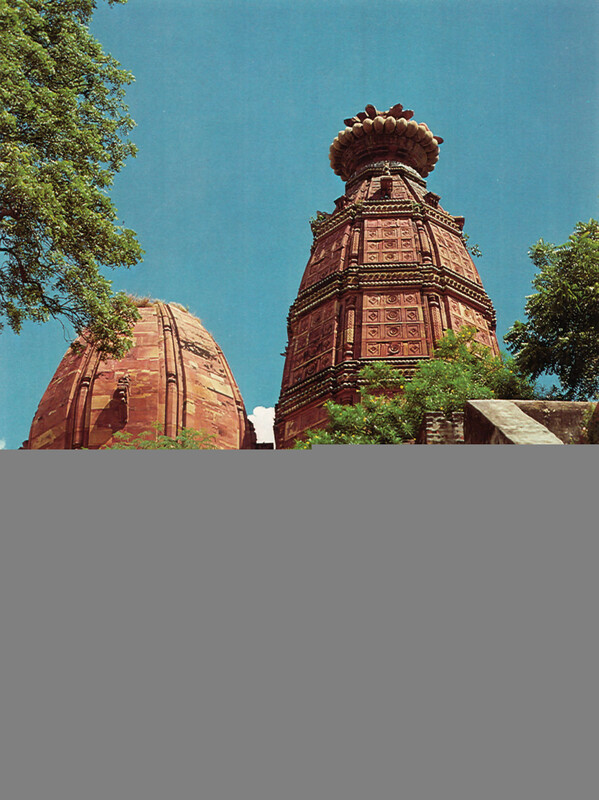 The temple of Madana-mohana, established by Srila Sanatana Gosvami, by whose endeavors all the lost places of pilgrimage in the Vrndavana area were excavated. 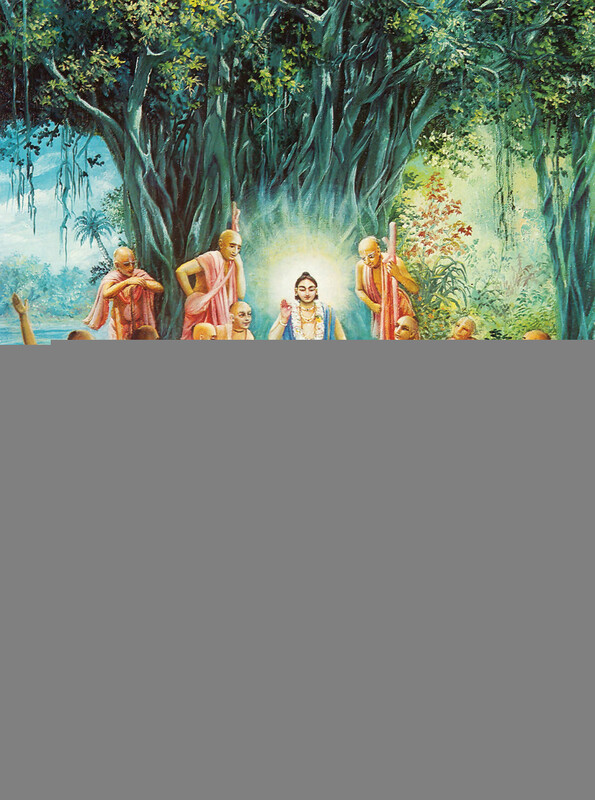 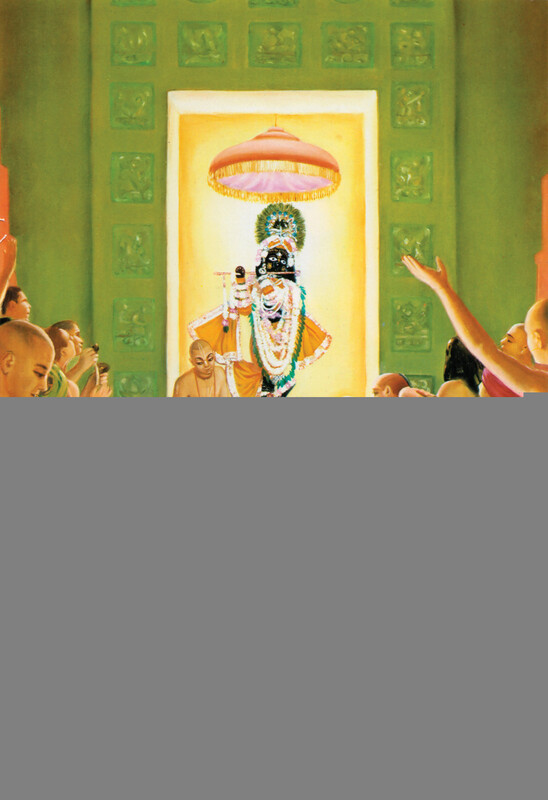 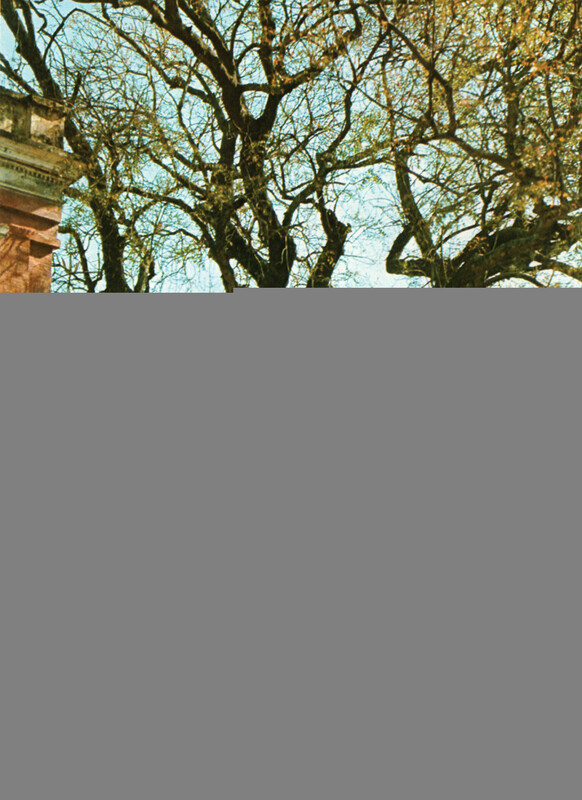 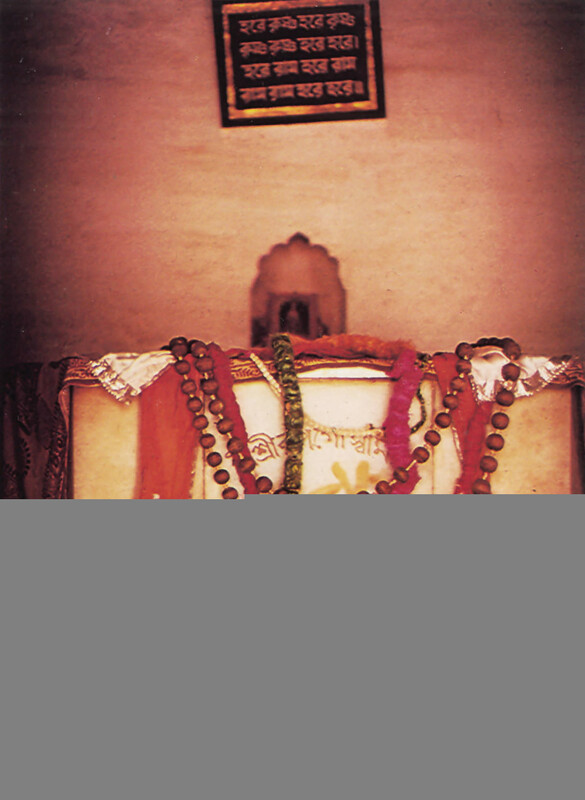 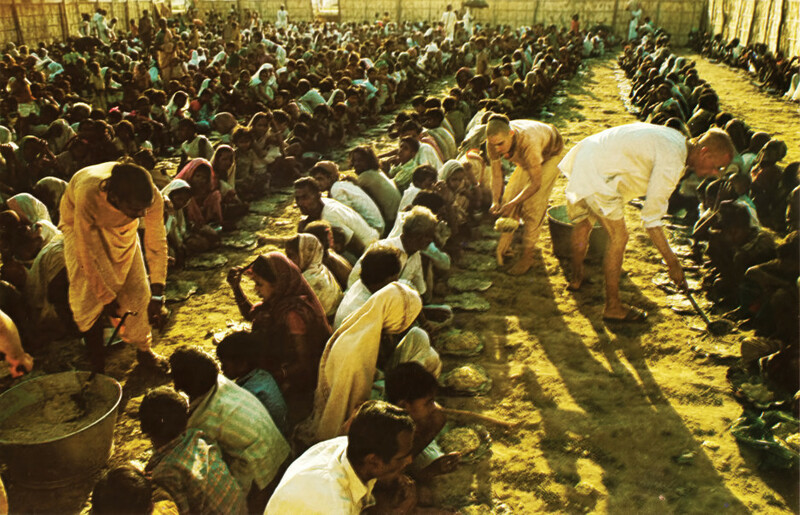 By his personal example, he taught people how to stay in Vrndavana to execute devotional service. 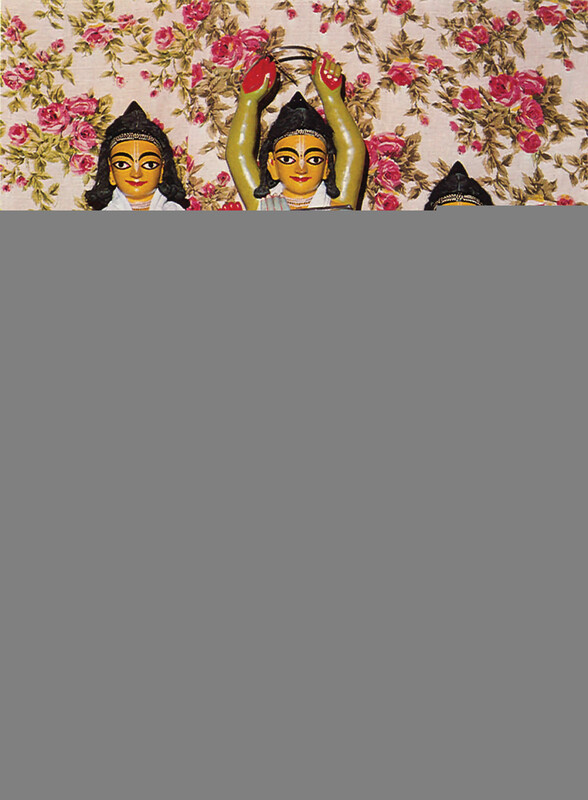 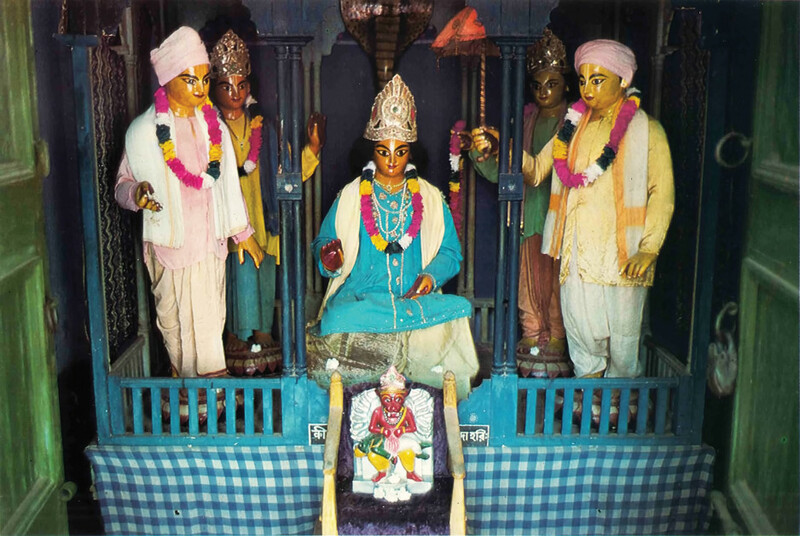 The Deities of Sri Sri Radha-Govindaji, established by Srila Rupa Gosvami on the order of Caitanya Mahaprabhu. 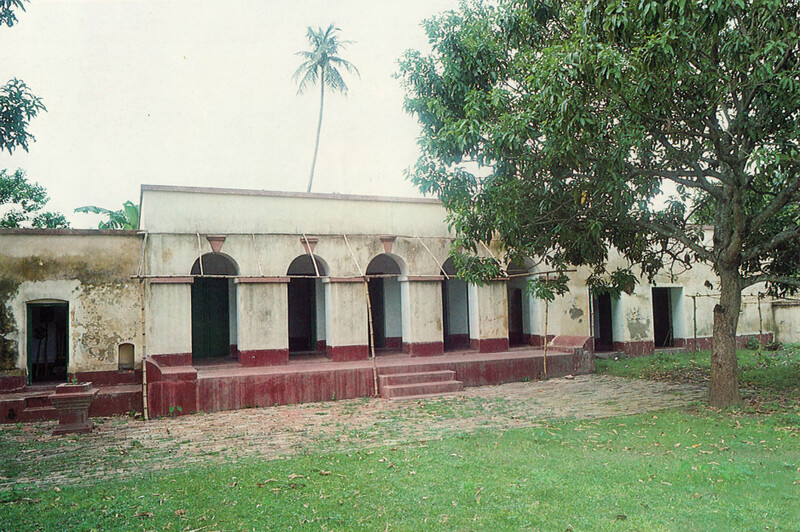 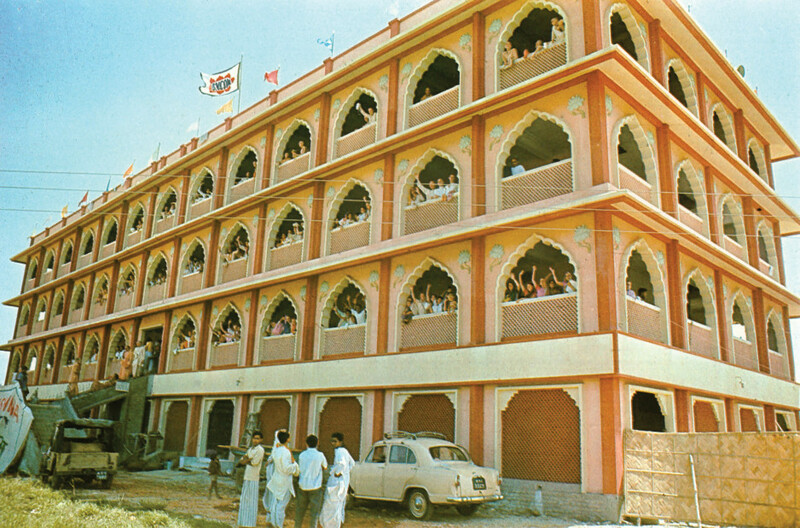 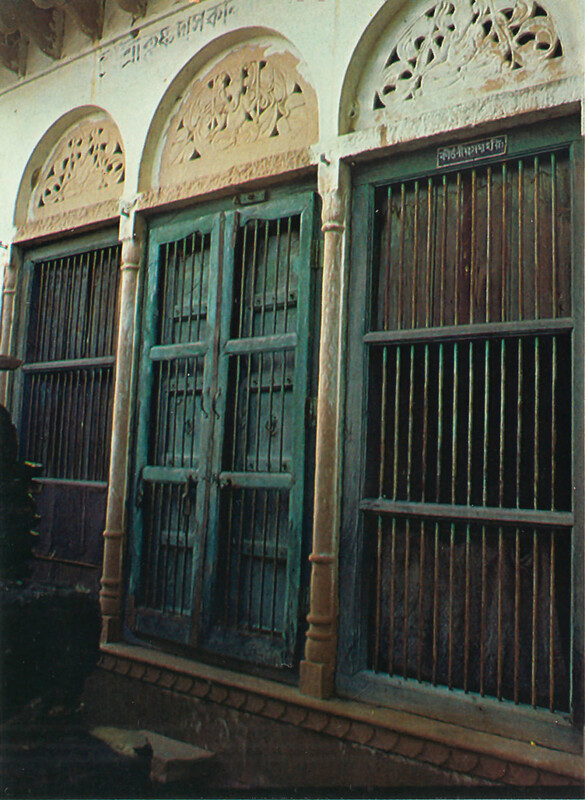 The temple of Sri Sri Radha-Govindaji, established by Srila Rupa Gosvami on the order of Caitanya Mahaprabhu. 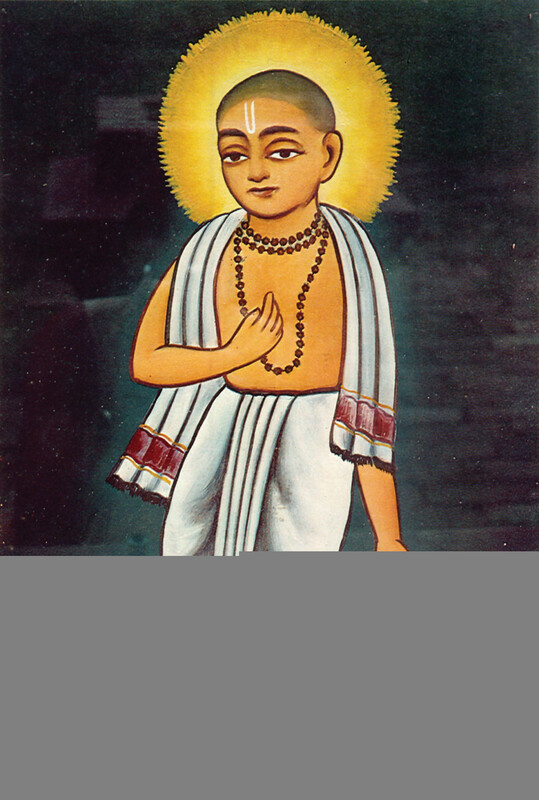 After seeing Madana-mohana, Krsnadasa Kaviraja Gosvami accepted the garland of order from the temple priest. 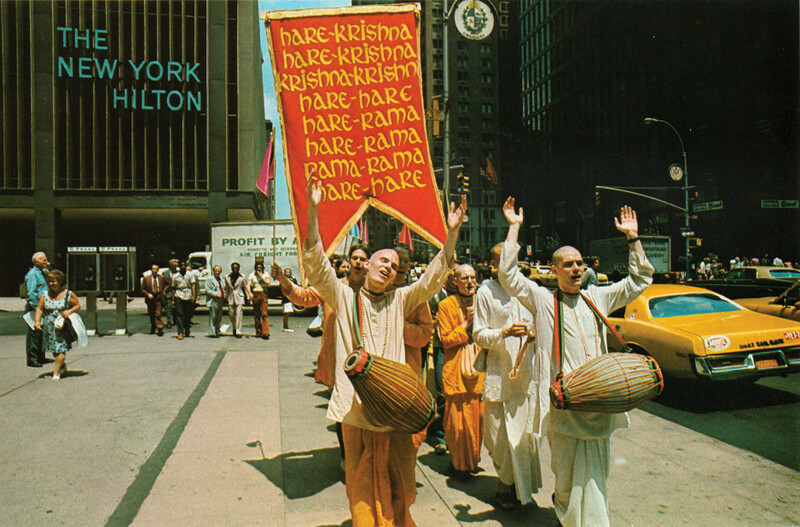 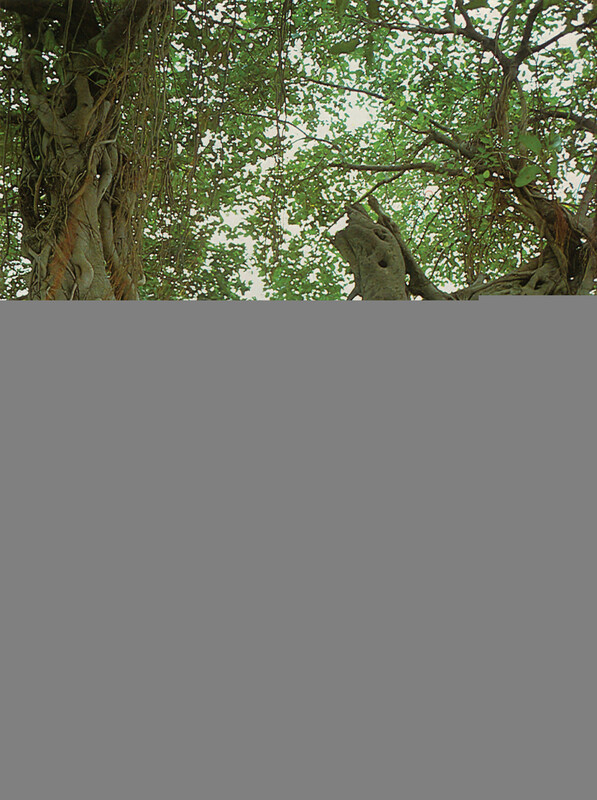 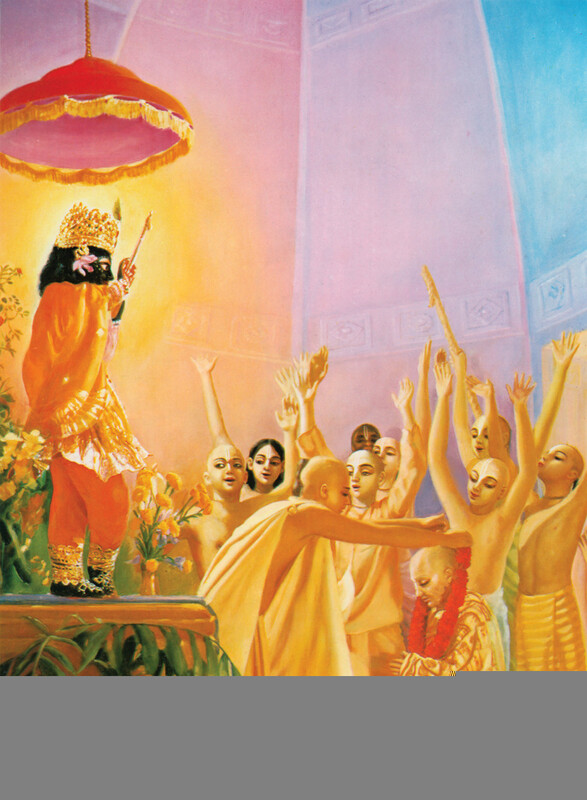 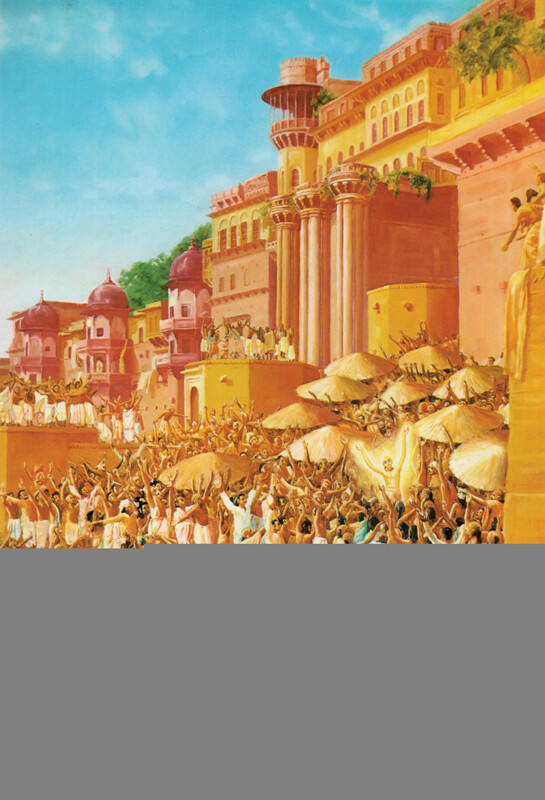 Whenever the crowds were too great, Sri Caitanya Mahaprabhu stood up, raised His hands and chanted, “Hari! 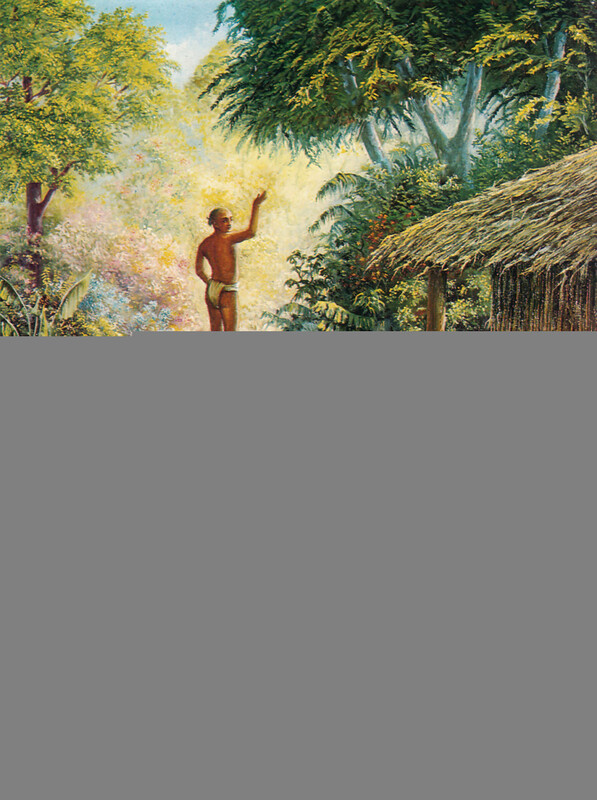 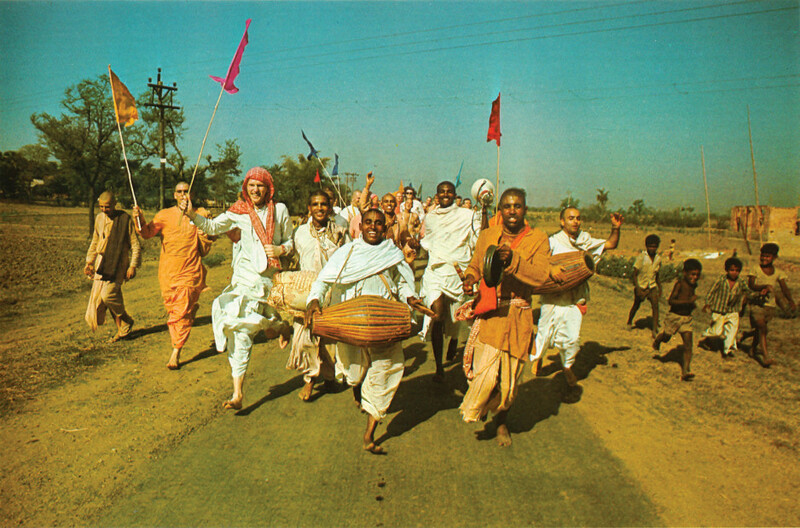 Hari!” to which all the people again responded, filling both the land and sky with the vibration. 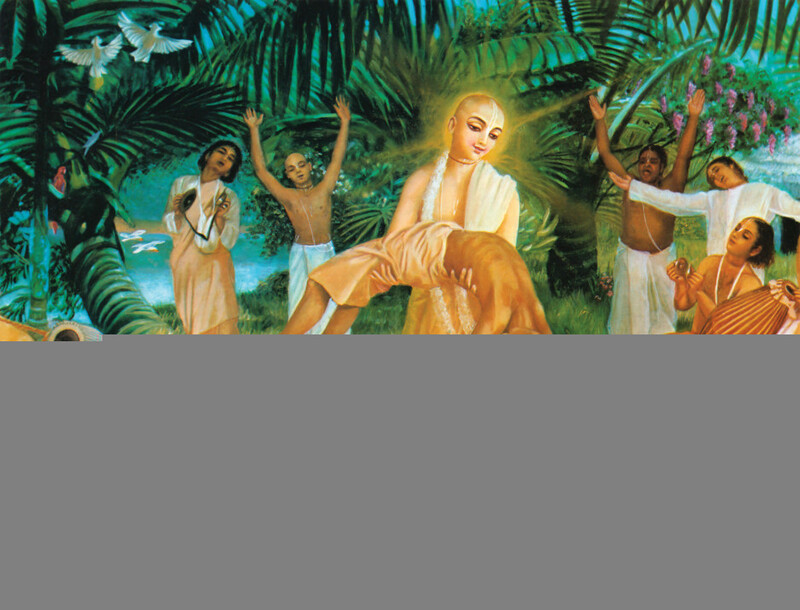 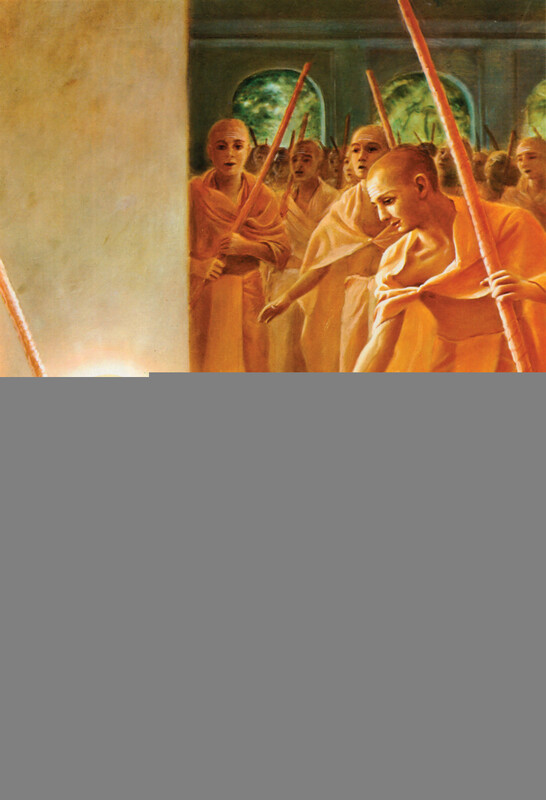 Prakasananda Sarasvati, seeing Sri Caitanya Mahaprabhu in an unclean place, caught Him by the hand and seated Him with great respect in the midst of the assembly. 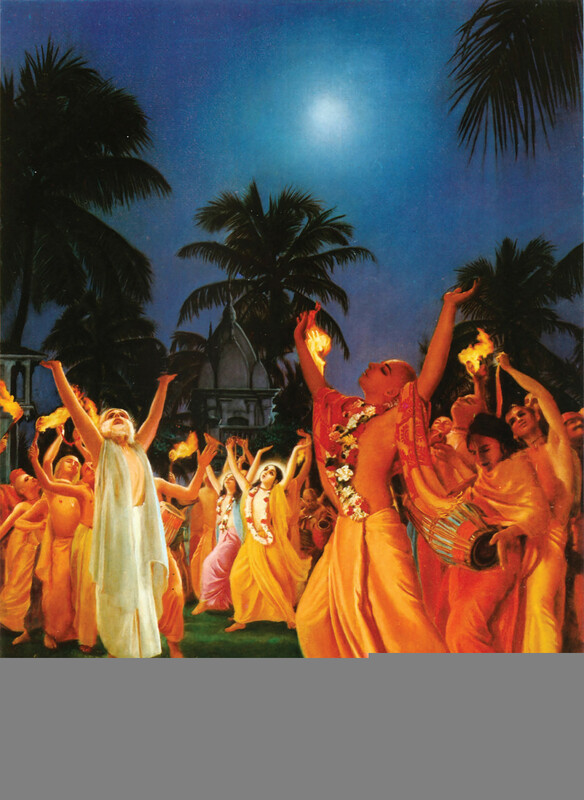 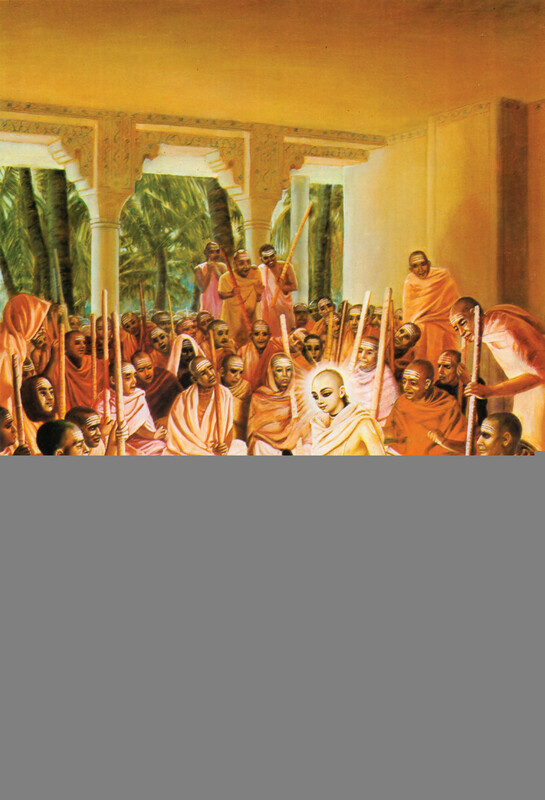 After the Mayavadi sannyasis heard Lord Caitanya, their minds changed, and they began to chant the holy name of Krishna. 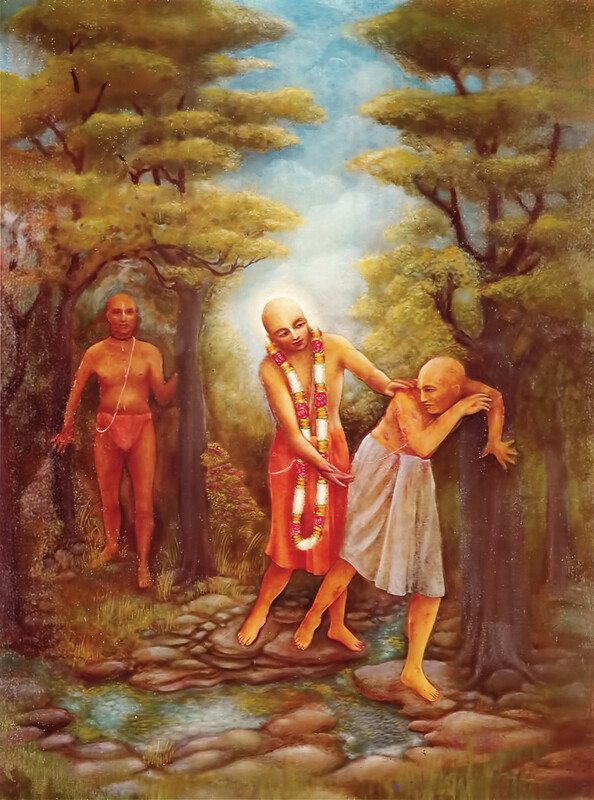 “O my dear Krsnadasa, go to Vrndavana, for there you will attain all things.” (p. 494) The historic site where Sri Caitanya-caritamrta was completed in the year 1616 by Srila Krsnadasa Kaviraja Gosvami.